The clinic will run from Thursday March 28 through Saturday March 30 and is for middle and high school coaches. 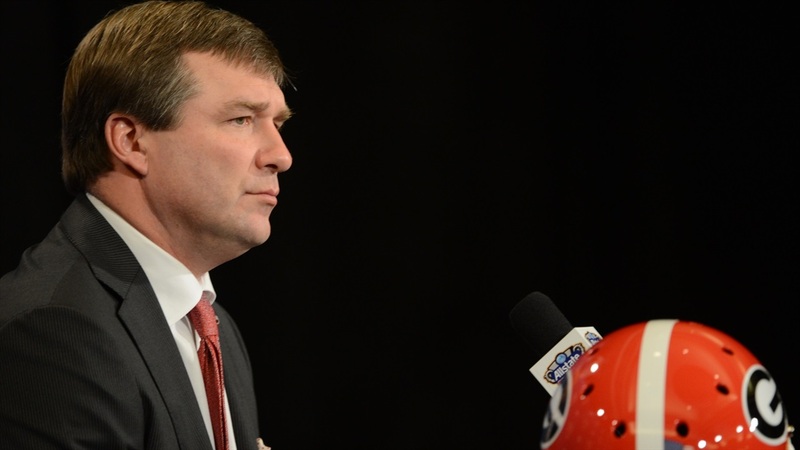 Head Coach Kirby Smart and his staff will host the 2019 UGA Coaches Clinic March 28th - March 30th. The UGA Coaches Clinic is a comprehensive clinic featuring presentations from college and NFL coaches. This annual clinic is a great venue to socialize, “talk ball”, share ideas and learn from legendary coaches. Attendees will have the opportunity to attend break-out sessions, visit with the UGA coaching staff during chalk talks and enjoy great food and fellowship at the clinic socials. Participants will enhance their knowledge of all aspects of the game through break-out sessions with guest speakers covering philosophy and scheme and by participating in the chalk talks led by each member of the UGA staff. The 2019 clinic also offers the unique opportunity to join the UGA staff on the field for two practice sessions to observe on-field demonstrations, position specific drills and overall practice scripting and format. The entire UGA coaching staff as well as the Directors of Strength & Conditioning, Recruiting, Operations, Sports Medicine and Player Development will be available to socialize and answer any questions you may have about the Georgia football program. Guest speakers will be announced in the near future.